Home > Blog > Q&A with Julie Hunt. 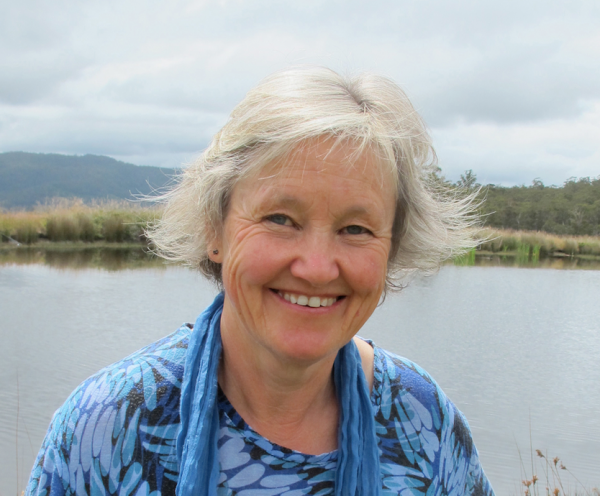 I recently spoke with Julie Hunt about her new book Shine Mountain and her writing process. Have a read and be inspired by her wonderful responses! What was the primary inspiration for Shine Mountain? The story came from many different sources. I was reading about Appalachian folklore and came across the belief in a beetle that makes a ticking noise in the wall when somebody is about to die. This gave me the idea for the shine moth, a creature who arrives at the time of death. I began wondering about the place where such a creature would come from, not a next-world place but somewhere that’s real, or real to some people, and I came up with the Gleam country, the land that my character, Ellie, thinks only exists in stories. It’s a marvellous dream-like place but something has gone wrong there; the country is cursed and only Ellie can fix it. Also, I was working on the book in hot summer. Months without rain made me think of the American dustbowl and I put a drought in the story. With the drought came a rain-maker, a boy who’s part of a travelling medicine show. His name is Luca and he has the dangerous ability to attract lightning. I love how detailed the world of Shine Mountain is, and the map is fabulous! Does the world gradually expand as you write more of the story? Or do you have quite a clear sense before you begin writing? Yes, isn’t the map good! The illustrator Geoff Kelly drew it. The publisher thought a map would help readers follow the story. I had some idea of the world I might create and drew a rough map at the start. It was a country surrounded by a ring of mountains. There were plains stretching to the west towards a range called the Palisades. Beyond the Palisades was another world that existed out of time. I love Ellie’s voice. Would you say her character is a mixture of all the children you have known over the years, or one child in particular? I’m not sure. Maybe she’s one particular child, a resourceful girl who discovers she has more courage than she at first thought. But she’s also like many eleven-year olds; she has a fierce sense of what’s fair and what isn’t and she’s loyal and strong. I think Shine Mountain has a real fairytale feel to it, what were some of your favourite fairytales as a child, and which ones do you love today? Well, now you say it I see there are fairytale elements in this story: a helpful animal companion in the form of Nanny Gitto, the talking goat; a bit of The Pied Piper; a touch of The Sorcerer’s Apprentice. Ellie plays a magical instrument and sets off a stream of events that she can’t control. I knew all the usual fairy stories when I was small – Red Riding Hood, Sleeping Beauty, Rapunzel, Rumpelstiltskin, The Selfish Giant etc. Someone told me recently that many children don’t know these classic tales now. It’s a pity if that’s so. Those stories are deep and they stay with you all your life. Can you tell you me about your writing process from idea to publication, for Shine Mountain? Do you edit as you go, or does that disrupt the flow of your ideas? I started the book with the idea that it would be a story cycle rather than a novel, a collection of interlocking tales set in the same world. Maybe that’s why there was no primary inspiration. After I had finished the first story my publishers wanted it to go on, so I abandoned the original idea. The story then went in all directions and I spent a lot of time writing and deleting thousands of words, an experience I don’t want to repeat. I’m very surprised the book has turned out as well as it has. I have the editors at Allen and Unwin to thank for that. I used to like writing before dawn with the idea of getting an early start but lately I’ve changed my pattern. Now I write notes during the day and work mainly at night by the fire. Good question. It might be that obvious bit of advice that many people say – ‘Turn up every day. It won’t happen without you.’ Although the opposite can also be true: if you pay attention and get things started by planting a few seeds sometimes the story goes underground and does its own thing then surfaces while you’re not looking (or while you’re pretending not to look). You’ve got to try and not try at the same time. In the past I have gone to places to find my stories – Ireland for Song for a Scarlet Runner, Romania for KidGlovz. I didn’t go anywhere for Shine Mountain but if I had it might have been the Appalachians. Two books that follow on from the graphic novel, KidGlovz. The first is called Shoestring – the Boy who Walks on Airand will be published next year. It’s an illustrated novel by the same artist, Dale Newman. The other book is the last in the series, an adventure fantasy for 8–14 year olds. It’s about a young girl who wants to know everything. Read a lot. Reread the things you love and work out why. Follow your unique interest. Be brave. Persevere. Keep practising. The Tasmanian Writers Centre thanks Julie for taking the time to answer our questions.